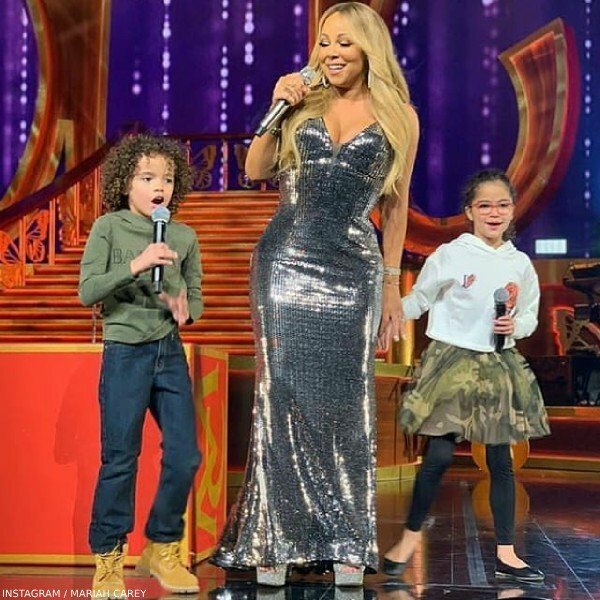 Love this cute photo of Mariah Carey with her twins on stage during her concert posted on Instagram. 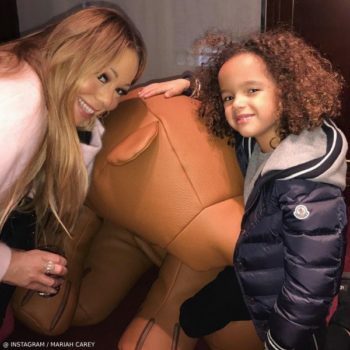 Mariah’s son Morocco Cannon looks super stylish wearing this trendy Army Green Balmain Kids Mini Me Sweatshirt. 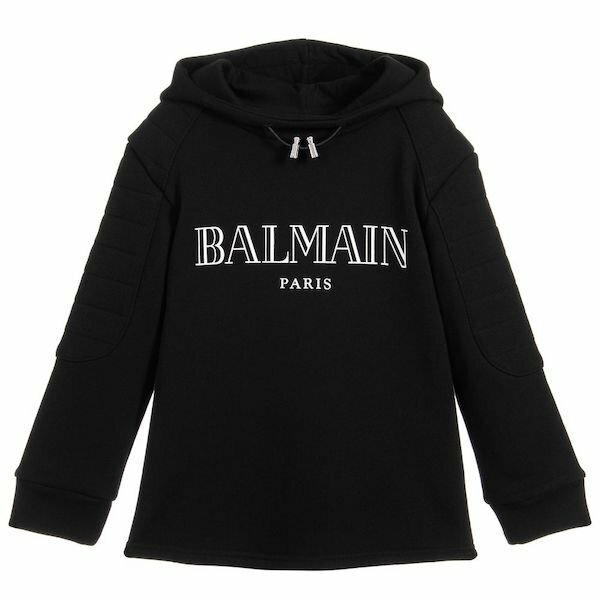 The perfect streetwear look for kids inspired by the Balmain Paris Adult collection, this hooded sweatshirt from has a bold white logo print on the chest and is made in a super comfy mid-weight cotton sweatshirt jersey. 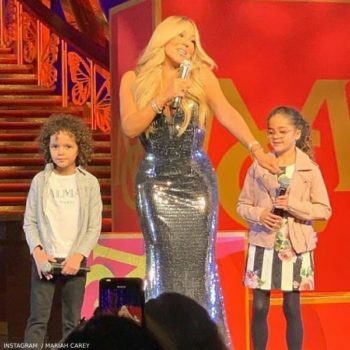 Morocco completed his look with a pair of dark denim jeans and Timberland boots. 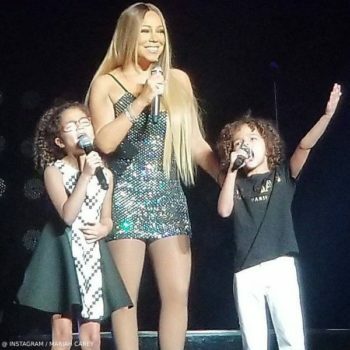 Twin sister Monroe wore a cool camouflage tulle skirt, white sweatshirt, black leggings, and ballet flats. Shop the Balmain Kids collection from Paris online. Ships Worldwide.